OASFAA – the Oregon Association of Student Financial Aid Administrators – is an organization of more than 300 professionals who work in financial aid and related positions at Oregon’s colleges and universities, education-related government agencies, and private companies that offer or support funding for higher education. to provide leadership in financial aid-related public policy and legislative issues. OASFAA would welcome your financial support as we work together to promote the availability and effective stewardship of higher education funding. OASFAA is designated as a charitable, nonprofit organization under 501(c)(3) of the Internal Revenue Code (Federal Tax ID 93-0865563), which will allow you to receive a tax exemption for the financial support you provide. In the event that a corporate partner needs to cancel a sponsorship at any OASFAA event, a notification to cancel must be made in writing to the Corporate Partner Liaison and the Fund Development Chair at least 45 days prior to the first day of the sponsored event in order to receive a refund. This policy only applies to the corporate sponsorship fees, not event registration fees. Package valued at over $4,100! Package valued at over $2,300! Sponsorships do not include conference registration and all exhibitors are required to register separately for the conference. Annual Conference – three-day gathering of members in late January/early February for training, professional development, and conducting association business. Potential for reaching approximately 150 financial aid administrators. Thank you for your potential interest in partnering with OASFAA! 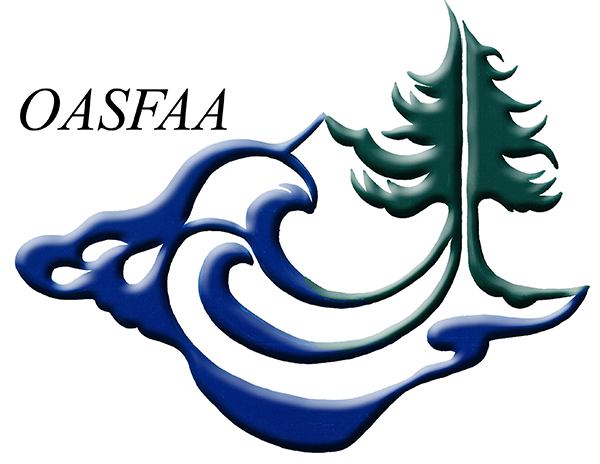 For additional information, or to become an OASFAA sponsor, please contact Suzie Petersen at (541) 885-1280. Click here to support OASFAA! !